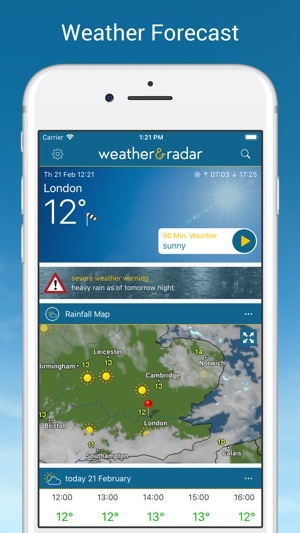 Be up to date at all times with Weather & Radar’s ad-free app, Weather & Radar Pro! Always know whether the sun will be out, a thunderstorm is approaching, if it’ll rain, hail or snow. 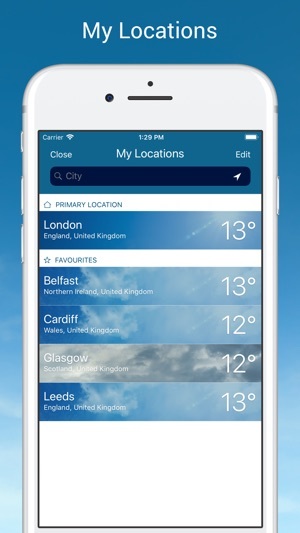 The weather app will accurately display current weather conditions for your exact position and any further location worldwide. More than just your standard rain radar! See the latest enhanced radar map, which includes areas of cloud cover, sunshine, rainfall, snowfall, hail, thunderstorms, and lightning strikes. This feature allows you to see meteorological conditions for various locations at once. Whether you’re in London, New York, Cape Town or Mumbai, trace the movement of cloud formations, weather fronts and active storms, to see, if they will hit or bypass your location. You can rely on Weather & Radar Pro for everything from timing your walks to dodge those showers, to planning outdoor activities and events. Scheduling a trip or have a family member in another country? Save any location and see current conditions for any number of global locations at once. 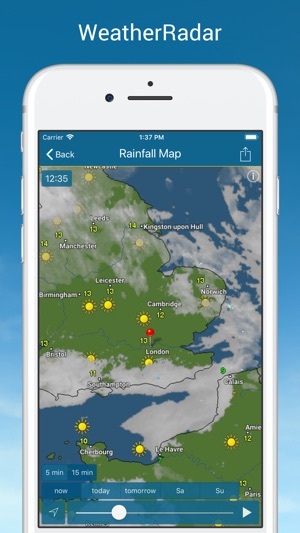 World weather at your fingertips! Activate severe weather warnings and receive push notifications when extreme weather conditions such as storms, thunderstorms, lightning, heavy winds or snow are underway. Planning a last-minute ski trip? Weather & Radar will tell you where the snow is! Access all ski and other winter sport info for major Ski locations in Europe. This app is great and very easy to use. Testowałem wiele aplikacji pogodowych. Ta odpowiada mi w 95%. Grafika mogłaby być bardziej atrakcyjna i nowoczesna. Za to mapa pogodowa z podglądem jest super. Cała rodzina korzysta już z tej aplikacji. Podoba mi się, chciałbym jednak aby w wersji na zegarek dodano: albo możliwość wybierania jej w Komplikacjach, albo jako oddzielną tarczę zegarka.